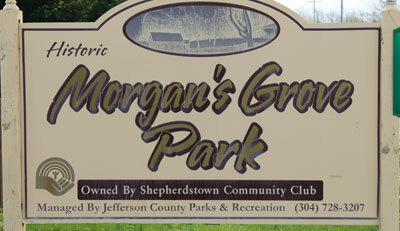 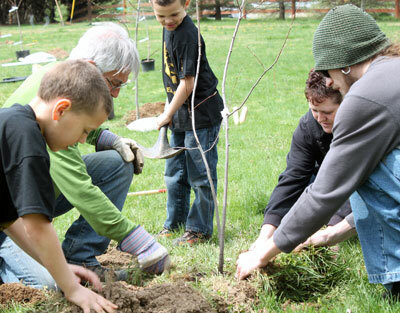 The Shepherdstown Community Club (SSC), in partnership with the Jefferson County Parks & Recreation, planted a mix of 24 shade, flowering, and evergreen trees at Morgan’s Grove Park outside of Shepherdstown, WV on April 19th, 2014. 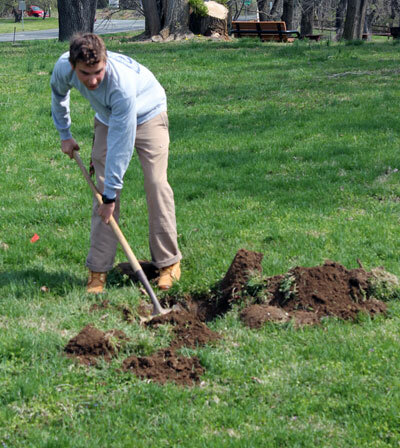 Preparation began with a meeting on site with CTree Liaison Tanner Haid to flag the tree locations. 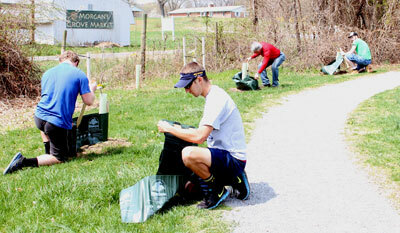 The morning of the planting, seven students from Shepherd University dug all 24 of the holes and helped to place all of the materials at each hole, including stakes, bags of mulch, cages, and tubes. 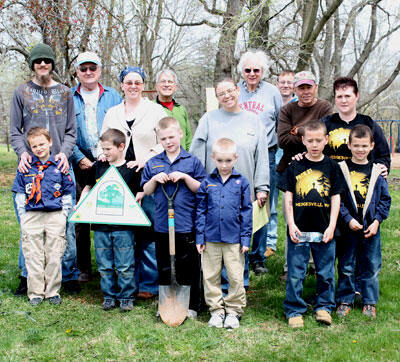 These students stayed around to help plant the trees with six members of the SCC and 12 members of a local cub scouts troop. 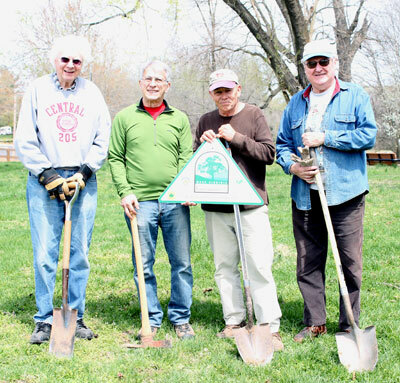 The SSC was also able to secure a donation of a 500 gallon water tank to use for watering the trees throughout the summer. 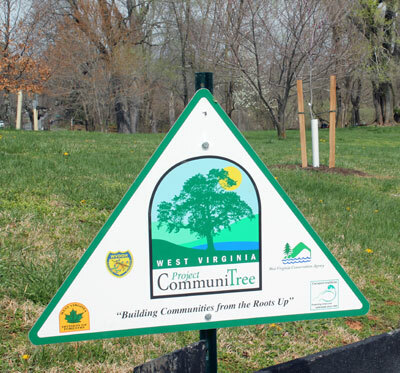 This is the 2nd WV Project CommuniTree planting at Morgan’s Grove Park.